With the aid of our experienced team, we are devoted towards trading and supplying an exquisite range of Point Detector. Laser pointer is a device used for point detecting. 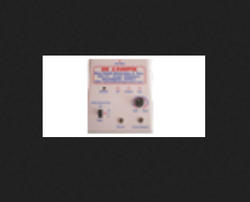 Electro point detector is an advanced technology based handy device to investigate the weak / dull corresponding points of related illness it is highly effective, safe and simple to use by any person for prophylaxis self-treatment, even if one has no experience or not having special training in related therapy.